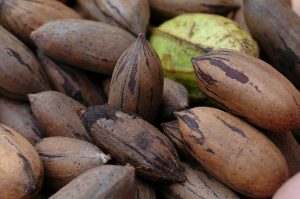 This is an image of pecans grown in Michigan from these ultra northern pecans from Iowa, Illinois and Ohio. 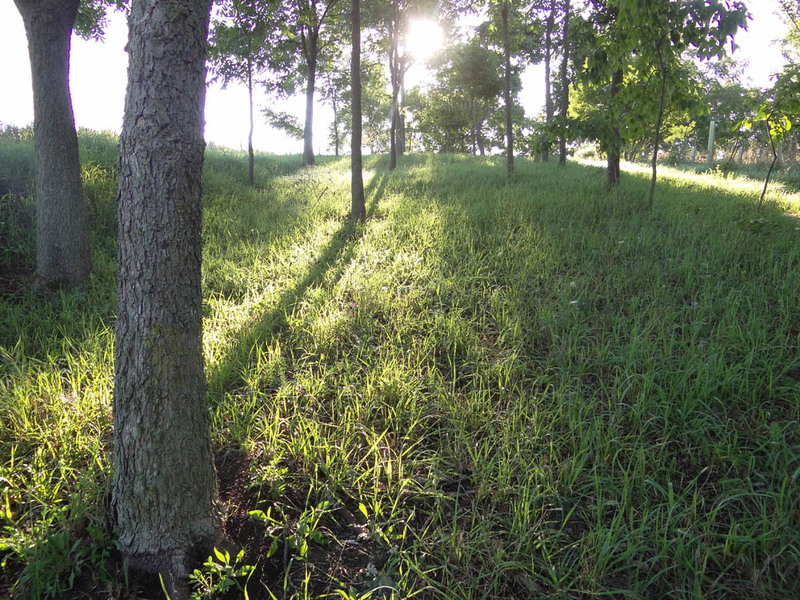 Each seedling tree in our planting of over 50 trees ripens nuts every year. These trees fruit when 8-15 years old grown from seeds. The Northern Pecan tree is one of the more widely distributed tree crop plants exchanged by indigenous cultures in North America long before Columbus arrived. The late flowering means no frost and their clean foliage means healthy trees. Our trees when put into our sandy dune soil put a deep tap root as well as side roots that extend two times that of the height of the tree. Drought has little effect on the northern pecan. 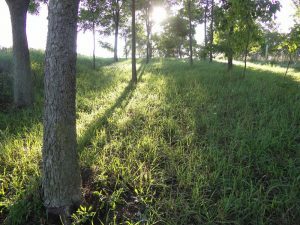 It was a tree I planted that made a dramatic impact on my blank slate field thirty years ago.